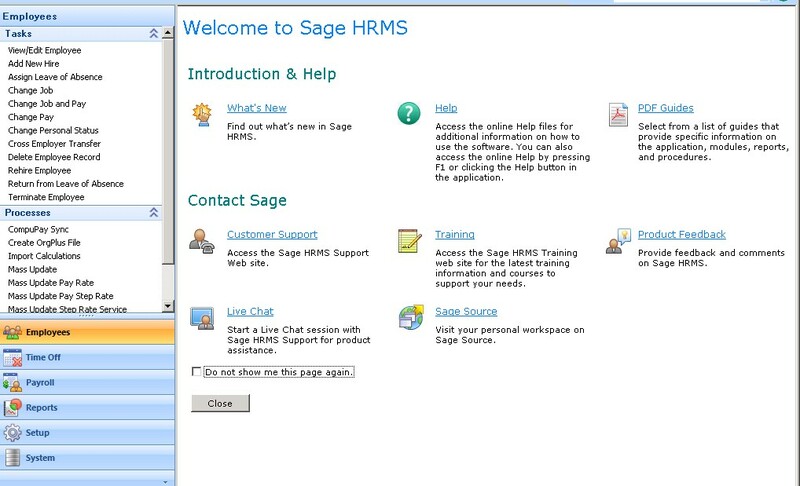 Sage HRMS is a cloud-hosted human resource (HR) and accounting management software designed for small to medium-sized businesses. It offers wide-ranging human resource functionalities and features to let users fully optimize the overall lifecycle of employees, including hiring, acquisition, talent management, and others. Besides that, Sage HRMS is also a payroll management solution designed to support all payroll needs of business in different industries, including agriculture, construction, manufacturing, and retail. The software is a versatile payroll and HR management platform designed to guarantee that businesses are provided with tools and features needed to attract and acquire best talents, boost employee engagement, and transform their staff into valuable assets of the company. The main benefits of Sage HRMS include reliable human resource management platform, payroll management solution, and a wide variety of tools and functionalities. The software is created by HR experts, meaning it is designed explicitly for businesses that require HR tools and features to streamline processes that involve performance management, recruitment, development, talent management, and others. Sage HRMS assists businesses and organizations adhere to industry rules and government regulations to ensure compliance and help them avoid the possibilities of violating the industry standards. Sage HRMS mixes components of benefits, payrolls, performance reviews, employee self-service, and applicant tracking system–all integrated into a centralized human resource-payroll system. Sage HRMS proves to simplify the management tasks, which allows the HR professionals and managers to pay more of their attention and knowledge to get, maintain, develop, and pay their employees. Besides that, the software is also equipped with analytic tools so businesses can evaluate the employee, find out performance problems, see who needs improvement and more training and determine talents who are ready for promotion. Also, this analytics functionality is valuable in offering insights required to make informed business decisions.